For the exhibition ‘Archaic,’ curators Tamara Chalabi and Paolo Colombo selected themes within the archaic that are the precursor to any civilization. For the first blog in this series, archaeologist Dr. Jane Moon reflects on the theme of ‘earth’ and what this means for the ancient civilizations of southern Iraq, and archaeologists today. Dr. Jane Moon OBE is an archaeologist and Co-Director of the Ur Region Archaeology Project (URAP), a heritage project at the site of Tell Khaiber, in the Dhi Qar province of southern Iraq. Dr. Moon worked in Baghdad for the British School of Archaeology in Iraq from 1976 to 1986, and was made an Officer of the Order of the British Empire for services to archaeology in 2000. The URAP was set up in 2012 as an international collaboration between the University of Manchester, the British Institute for the Study of Iraq, and the Iraqi State Board of Antiquities and Heritage. It focuses on the two mounds of the ancient settlement of Tell Khaiber, 20 km from the ancient city of Ur. 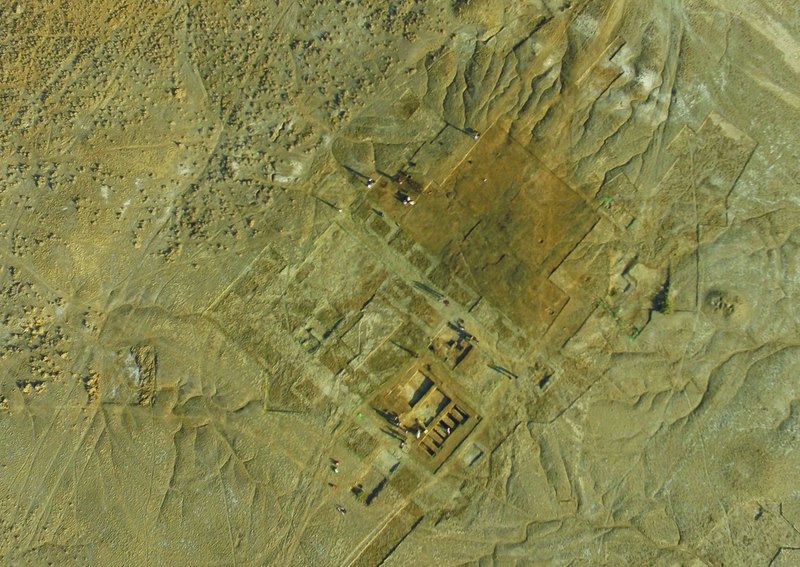 Satellite images showed the presence of a large building under the surface, and a visit in 2012 confirmed that occupation dated back at least 4,000 years. Every culture defines its relationship with the ground under its feet, and the plants and animals that spring from it. That is part of the essence of being human. The ancient peoples of southern Iraq had an especially close-up relationship with the earth, because earth was almost all they had. The men and women who first clustered into cities and developed a way of sustaining them did not do so because of an abundance of natural resources, but rather for the opposite reason. They had very few natural resources: reeds and date palm, a limited amount of water, but a great deal of human ingenuity – and, crucially, earth: mud or clay. From these they built the first civilizations, with urban living, written communication, far-reaching trading networks, and yes, oppression, conquest and all the negative aspects of civilization too. Clay was used for building, most commonly of unfired mud-brick, libn in Arabic, and still ubiquitous in village architecture until very recently. For monumental buildings baked brick, and occasionally a little expensive imported stone were employed as well. Great palaces and temples were fashioned in this way, often with imaginative facades, of which little is left for the archaeologist, who usually has to be content with the ground-plans. Even these are hard-won for us: mud-brick is cheap and easily worked, and also requires regular maintenance to survive, so alterations and rebuilds were constant. Therefore, when they are finally abandoned and buried, as all buildings ultimately are, what is left is a complex puzzle. 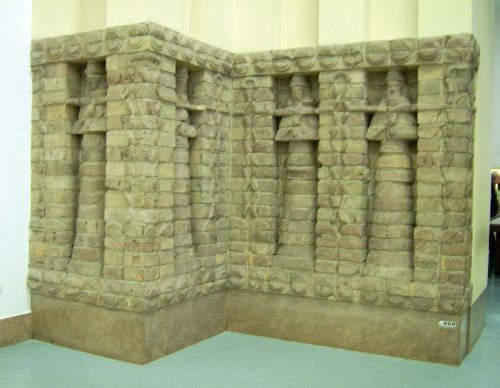 The Karaindash Temple at Uruk had a façade decorated with moulded bricks. Late 15th century BC. 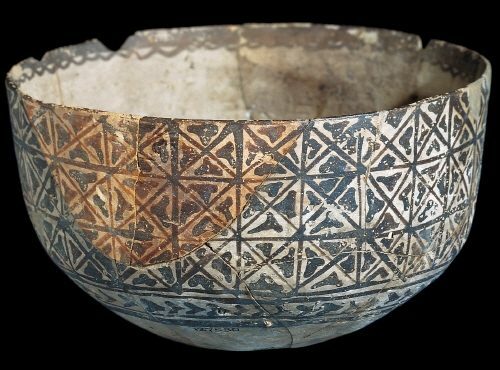 Pottery, that great product of earth, is much beloved by archaeologists. 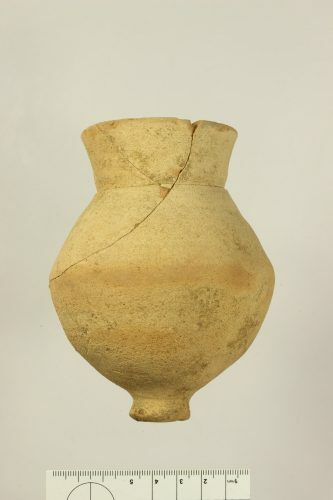 Unlike precious stone or metal artefacts, vessels of clay break easily, and are thrown away and replaced. 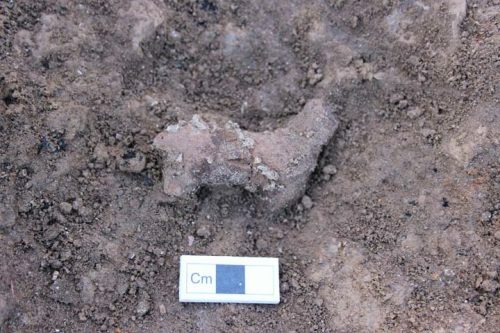 Of course there are exceptions (we all have a tea-cup that belonged to our great-grandmother), but the majority of vessel fragments found in excavation are close to contemporary with the context in which they were last used. This means that the changing fashions in ceramic style are very useful for dating the building in which they are found. Pots from the pre-historic periods are often beautifully crafted: shaped by hand and painted in once-lustrous colours. However, the fast wheel was invented and employed very early in the Middle East, before 3,000BC, so later pieces were churned out in huge numbers, technically accomplished but not individual art objects. Nevertheless, taking a simple drinking cup into your hand is to see what the potter saw when it came out of the kiln thousands of years ago, to feel what the drinker felt as they raised it towards their lips. Field archaeology is the least glamorous of the heritage professions, with days spent in the dirt, in the heat, wet or cold, but the reward is a direct relationship to the artefacts of past millennia, as their owners left them, without a glass case or a packing box in-between. Elaborately decorated hand-made bowl from Arpachiyah, northern Iraq. Sixth millennium BC. Di. 173 mm. Photo: British Museum. Clay drinking cups from Tell Khaiber, southern Iraq. 1,500 BC. Around 125mm high, they were designed to hold and drink from, but not to put down, as they cannot stand. Photos: Ur Region Archaeology Project. Many larger items made of clay must be lost to us. 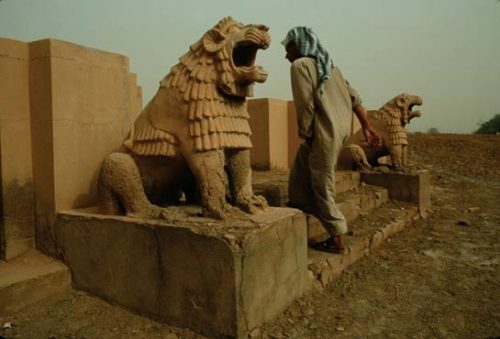 The guardian lion statues of the great temple at Old Babylonian Shaduppum (modern Tell Harmal, now inside Baghdad) are among the few survivors. Small objects, however, abound. Our recent excavations near to Ur (at Tell Khaiber www.urarchaeology.org) revealed a fortified administrative complex, occupied by civil servants and soldiers. 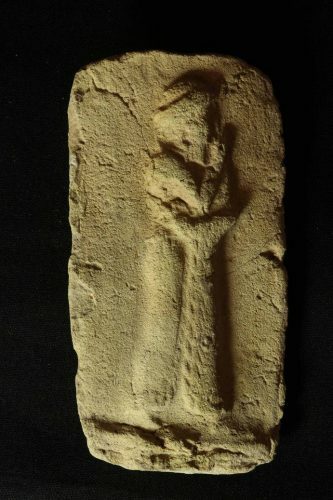 It was not rich in art works, at least there were few among the non-perishable artefacts left to us, but among those surviving were pocket-sized mould-made clay plaques, each with a figure in relief. Such plaques have a long history, but they are especially common in the second millennium BC. Styles sometimes include animals, monsters, even copulating couples, but ours all had a single person. 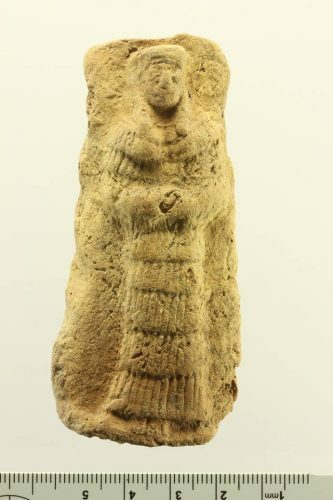 This moulded clay plaque shows the standing figure of a male worshipper. 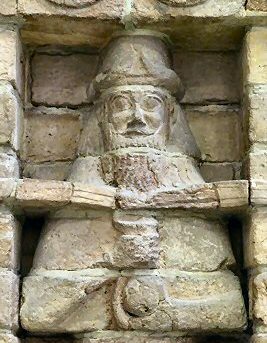 He is dressed in formal Babylonian garb, with a long fringed robe and a round, brimmed hat. He touches his right palm to his face, as a gesture of obeisance. 97mm high. Photo: Ur Region Archaeology Project. The female figure above wears a heavy flounced woollen dress, something elaborate round her shoulders, and a headdress. We found three such plaques from the same mould at Tell Khaiber, so they were obviously being manufactured there. 90mm high. 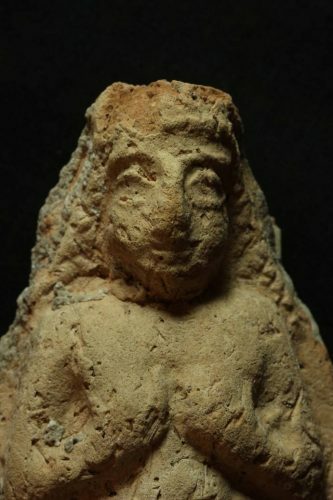 This female figure wears nothing except a plaited hairstyle and a cheeky grin. 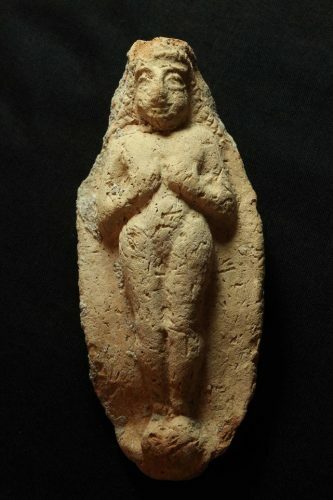 She is offering her breasts, a gesture typical of Babylonian goddesses associated with fertility. The workmanship is crude, the style simple, but this everyday pocket-sized object allows us to look in a direct manner into the face of a character from three and a half thousand years ago. 122mm high. Many other simple things were made from clay too: model animals -perhaps toys, and lots of household items. We even found rattles. 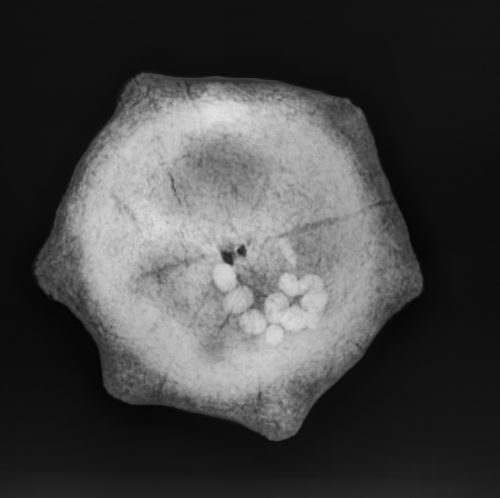 The local X ray clinic in Nasiriyah was able to photograph the pellets inside that made the noise. More up-to-date X ray machines are designed to not allow a sufficiently strong dose of radiation to do that! 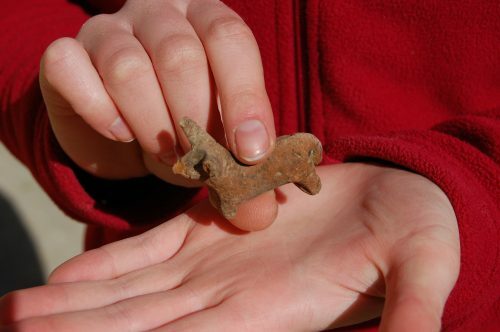 Photos: Ur Region Archaeology Project. 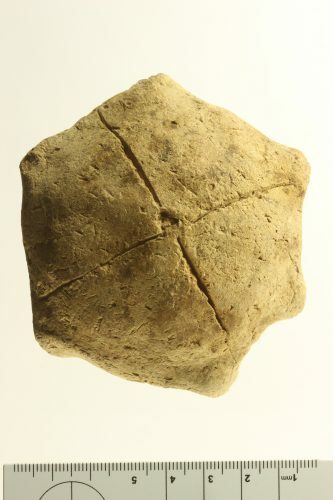 Perhaps the most intriguing of all clay artefacts from Iraq are the tablets incised with cuneiform writing, made by impressing the clay, while still wet, with the triangular end of a reed. Originally devised by speakers of the Sumerian language, which has no known relations or descendants, it was adapted to write Akkadian, of which Babylonian and Assyrian are dialects, and which is related to living Arabic, Aramaic and Hebrew. Many thousands of such tablets are preserved in the museums of the world, but the majority have no proven context. At Tell Khaiber we were fortunate enough to find where the scribes had stored their records, and so the Iraq Museum now has two hundred new provenanced tablets. They record the day-to-day activities of the administrative complex: quantities of grain and flour owed, submitted and re-distributed, including ‘to the palace’. We learn the professions of those involved: mayor, scribe, cook, laundryman, gardener, herald, tailor and his four female weaving slaves, royal auxiliary troops. Along the way we learn the date: the year of accession of King Ayadaragalama, that is, 1,500BC. Utilitarian as they are, their lines and rulings give them a simple ordered elegance. 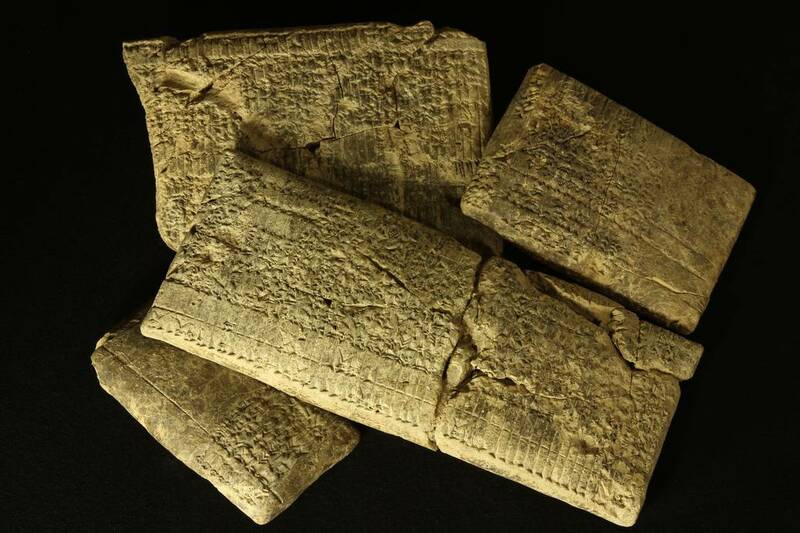 A group of written tablets dating to 1,500BC. They record the everyday affairs of administrators at Tell Khaiber. During their sojourn in the earth from then until 2016, burrowing animals have damaged the surfaces, making the epigraphist’s task more difficult. Largest 800mm high. 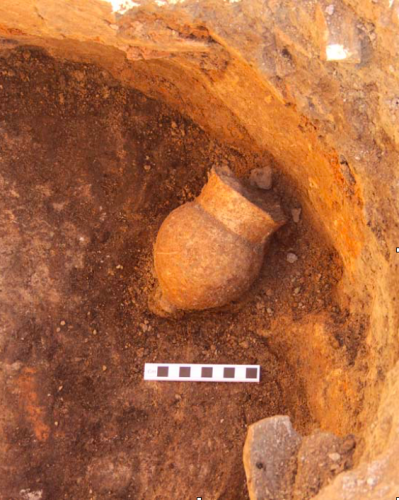 Photo: Ur Region Archaeology Project. All these things are made from earth, but for the archaeologist it is the earth itself that gives us these precious insights into our past selves. As the satellite image at the top of this essay reveals, it is the patterns in the ground that show us, if properly interpreted, where lie buildings made of earth and surrounded by earth. Buildings mean occupation by humans, and that is where we will find whatever else these humans have left behind for us.